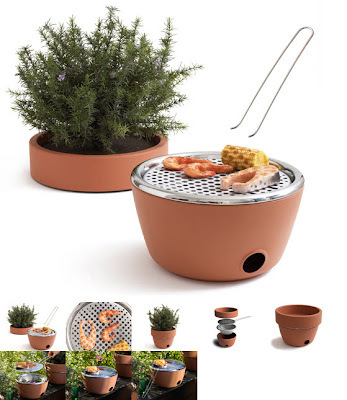 We reserved one of these hot-pot bbq; it would be perfect on our patio. Isn't it cute?!?! LOL...you have a good point. Maybe I can get two. ;-) I like that it's decorative and space-saving. We don't have a lot of room on our patio.